Bean’s Pat: Galen Leeds: Following the tracks of history. http://galenleeds.com/ The kind of wandering/wondering walk I love to take. And a bar of chocolate to go with the fresh air and good book! I could spend hours sitting on that bench! What a perfect spot for some reading and fresh air. Great photo and I love Twain! It’s a public bench Harper. You’ll find it at Lake Walcott State Park in Southern Idaho, where I was campground host last summer. Be my guest. It’s a beautiful spot. 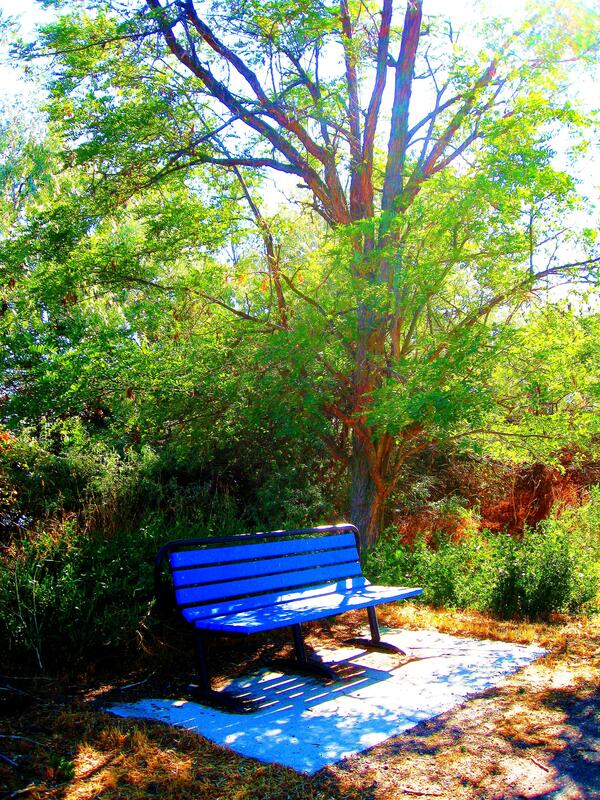 I can see myself on that bench, watching life bloom over and over again. I like the way you think!